When you’re trying to figure out how you can get the right Stone Sealing for your specific residential to commercial building, things can get tough. Are you currently using a lot of stones that just don’t mesh well with each other? Perhaps you’ve got some erosion, cracking, and staining that is just taking over your life and making everything worse. If you’re ready to figure out how to handle your needs in the best ways possible, make sure you count on our team to provide you with the timely assistance. 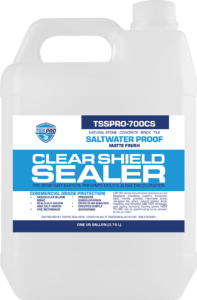 With the help of the TSS PRO Sealant on your side, you’ll be fine in no time. Sealing and restoring stones is something that can really take a long time. We all know the importance of having a good tapestry that impresses you friends, but many of us don’t know how to act when it goes wrong. Are you dealing with some type of stone that’s simply rotting beneath you? This can be very depressing, but we can assist your qualms. Don’t feel bad at all over your stone sealing needs. While you may be replaying in your head what you could’ve done better, this is simply not something you should spend your time on. Are you ready to figure out how you can make sure you have access to quality resources that make sure your stone are in awesome condition? This is always tough, but the TSS PRO Sealant has what everybody needs. Leadership, flexibility, and a incredibly fast response time. Are you trying to seal your stones but you’re nothing all of the prints and dirt marks all over them? If you’re trying to figure out how you should be able to do this in the best ways, you may want to hire a contractor. If you’re sealing stone, you definitely need to make sure every single grout line is cleaned before you begin. And that aspect of the job can take a lot of time in a DIY setting. Do your best to find a contractor who can supply you with the cleanings you need. It’s absolutely critical you have your grout scrubbed before you apply the sealant. This is something that can trap in your damages and make things much worse for you over the long run. Sealing is supposed to keep out the grime, not trap it in. If you’d like to make sure your setups are always in the best possible conditions, we can help you. When you’re looking for Stone Sealing, you’re probably on the search for a medley of different stones. Quartz, sandstone, limestone, and concrete are only a few of the most common in Houston. However, our nationwide services are here to help everyone around the world. Regardless of what you need, you can count on our quality stone products to offer solace, relief, and assistance to you. Contact us today to find out more about what we’ve built here. Even though you’re trying to steal your stones in a quality way, that doesn’t mean it should have to cost so much. Are you worrying about what you’re going to do about your sealant needs and you’re on the cusp of giving up? While this is something that everybody goes through, we think you should persevere. Many people don’t understand stone sealant, and they give up quickly then they buy it themselves. While everybody loves a DIY warrior, nobody wants to see someone waste their time and money on something they can’t do. If you’re still trying to fiddle and figure out your current stone restoration, you should hang it up. Instead, by calling in the team here at the TSSS PRO Sealants, you’ll be able to experience fast relief. We have products we ship right to you. These are perfect for virtually any type of stone sealant situation, and you’ll be able to have confidence in them. Our team understands what our customers want, and we’re always striving to make our service and products better. Trust our company when you’re ready to invest in some high quality sealants that make your dreams come true. With the TSS PRO Sealant solutions on your side, you can count on our team. Are you currently using concrete pavers outside of your commercial business? Like most people, if you have a driveway for your customers to park, you probably have concrete. Are you noticing that there is a decent amount of holes and blemishes? Perhaps you’ve even had a few isolated complaints about the lack of smoothness on the roads these days. This can really be a big problem, and we’ll be there to keep it in check. Reach out to our team and figure out what needs to happen next with your stone sealing. Our team provide yos you with high quality cleanings and restorations. We think you’ll like what you see! Regardless of the type of stone you have, you’re going to want to make sure you have the right resources or getting a good deal on your next purchase. Are you looking for a company that can affordably seal your stones? When you’ve got limestone, flagstone, quartz, and marble that’s all breaking down, you can count on discounts and coupons. Ensure you have answers for your spending habits by using our affordable stone sealing products. With us on your side, you’ll be able to count on our team to provide you with cheap sealants. We understand that when you’re trying to provide a high quality Stone Sealing for your stones, it can feel like it’s nearly impossible. Perhaps you don’t have any background with this type of material, and maybe you’re even worrying that you won’t have answers for your stone’s next needs. Whatever the case may be, count on our professionals here at the TSS PRO Sealant. We’ll supply you with excellent materials and products that help your service move along swimmingly. For more information on everything we can do, be sure to contact our pros and make the most out of your setups. We’ll give you the solutions you need.